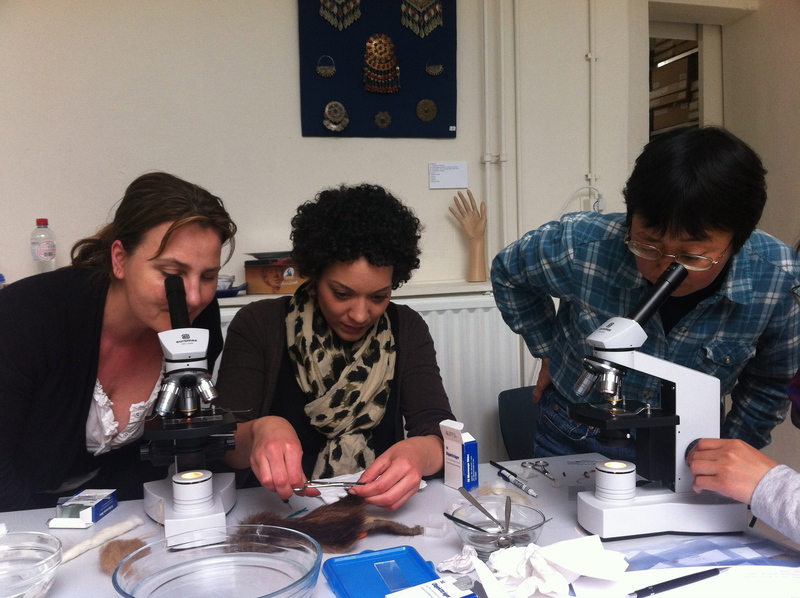 In May 2013, I got the opportunity to participate in a five-day intensive textile course, organised by Textile Research Centre in Leiden (TRC), Netherlands. This was the first step of my Marie-Curie scholarship training plan, the goal being to familiarize myself with basic textile techniques and pracical skills in textiles. 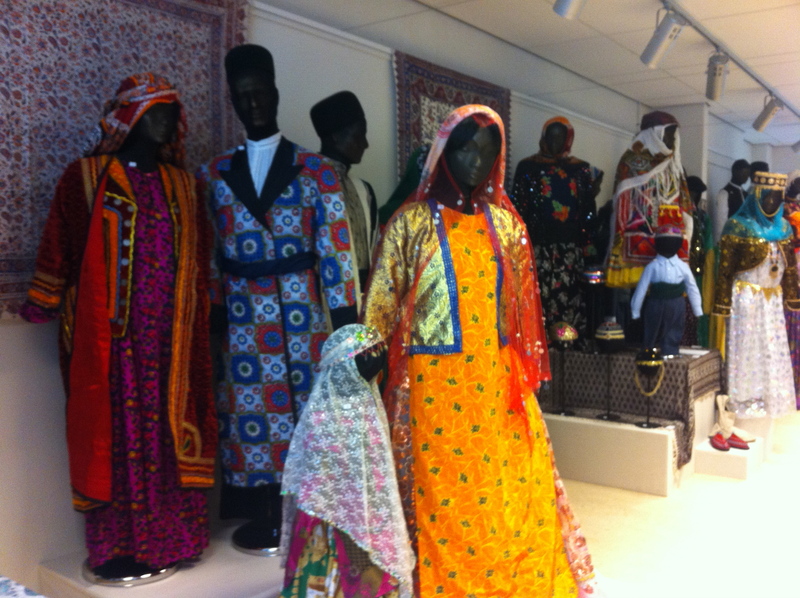 Upon arrival the eight of us who took part in the course, all of us from different countries, were taken through the exhibiton space showing colourful dress items from the mountains and deserts of Iran to the study room at the back of the premises. After a cup of tea, we were introduced to our insturctor, Dr. Gillian Vogelsang, a wonderful English woman who had moved to Leiden at a young age and subsequently established the Research Centre. Under her inspiring (yet uncompromising!) guidance, we learned all the basic steps that are associated with the processes of making a piece of cloth, from the raw fibres to the end product. The course was intensive, indeed. We studied everyday from 9am until 5 pm, stopping just for a few breaks around the lunch hour and tea times. But this meant that during the five days we really covered the basics of fibre identification, spinning, dyeing, weaving, and decorative techniques including printing and embroidery, both in theory and practice. 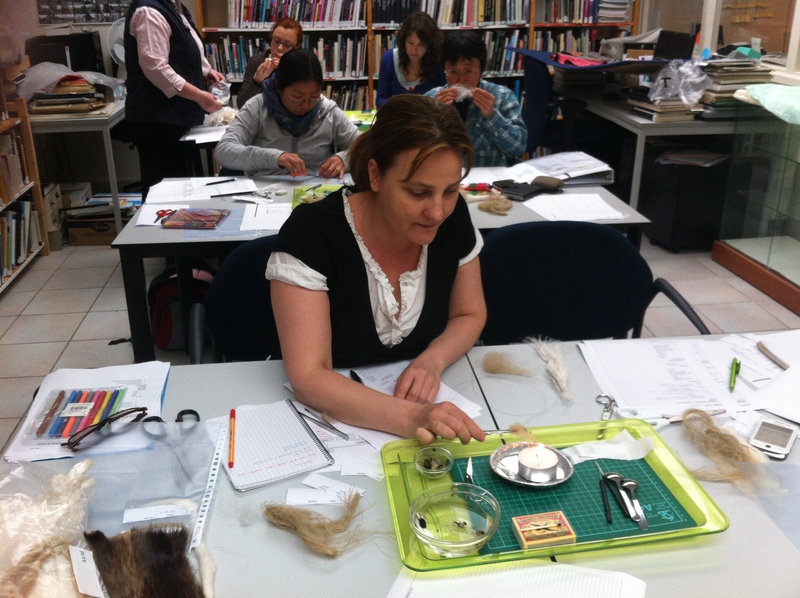 We started the course by learning how to classify and identify various natural, mad-made and techno fibres. One of the methods of identification is testing how different fibres burn: what they smell like, how quickly the fibre lights up, and what the end product looks like. We also examined differences in fibres, using microscopes. My working partner Judith, on the other hand, really got it. 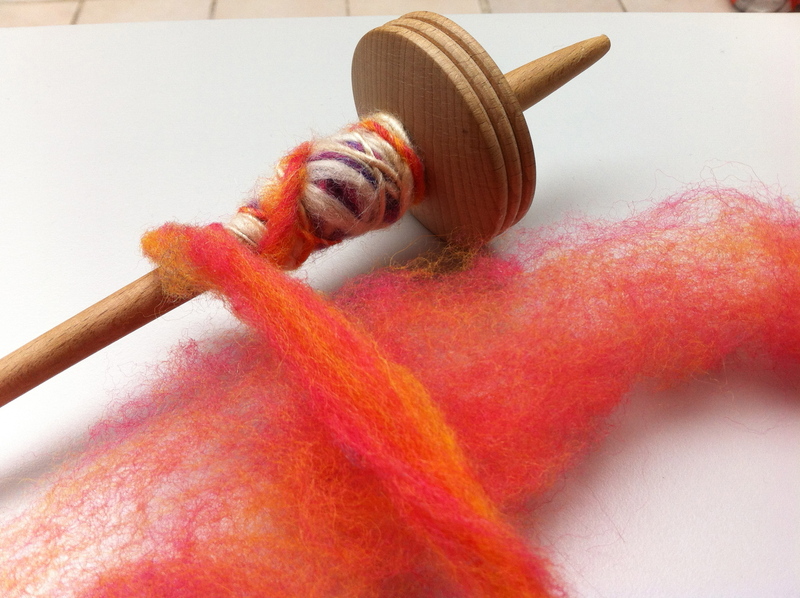 She got so excited about spinning that she took the spindle at home and knitted over the night a little baby sock of her self-made yarn! What a creative talent! 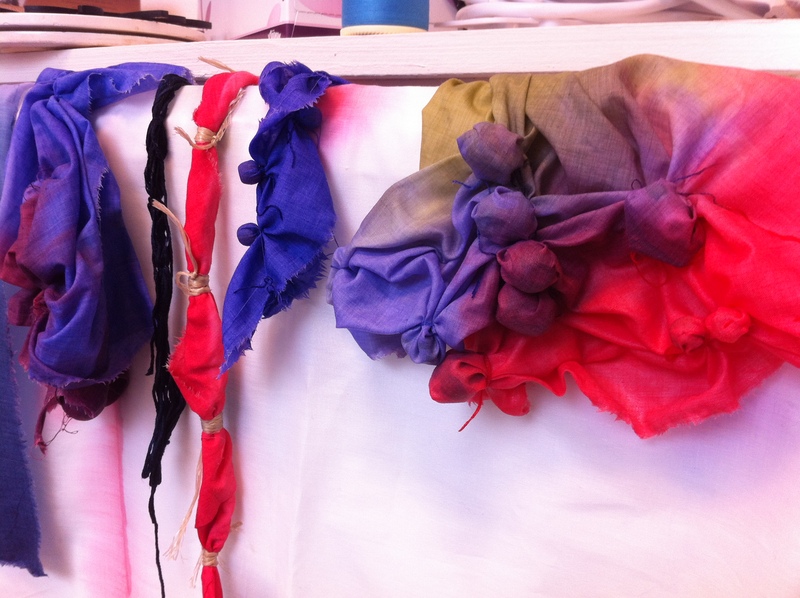 Having spent a fair deal of time in spinning, we moved on to dyes and tested dye baths, using wax, pearls, tied knots, and applied thread to create colour patterns. 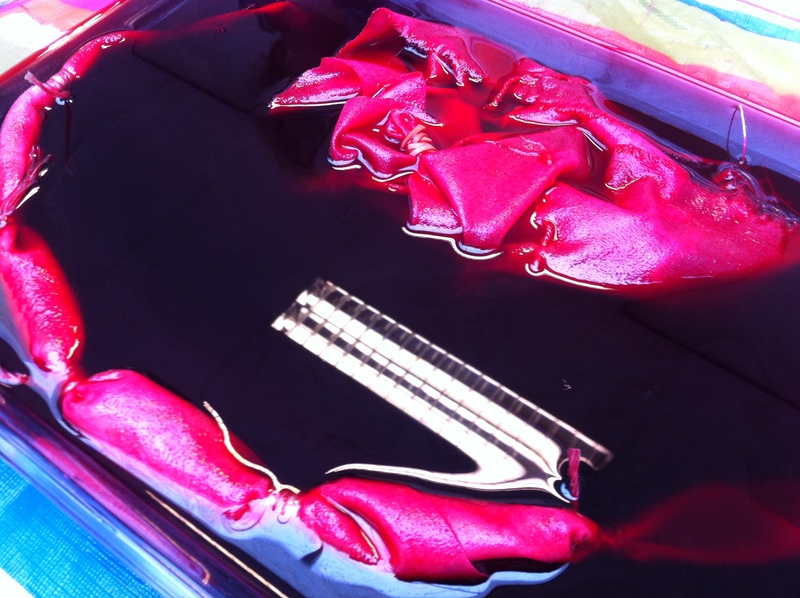 We also prepared a set of 15 colours, using natural dyestuffs, such as alcanet, cochineal, campechehout, coffee, persian berry, safflower, and St. John’s wart, to experiment with dye effects. We placed four plastic cups in front of each dyestuff, using three different mordants (alum, copper, tin), to produce a variety of yellows, reds, greens and browns. 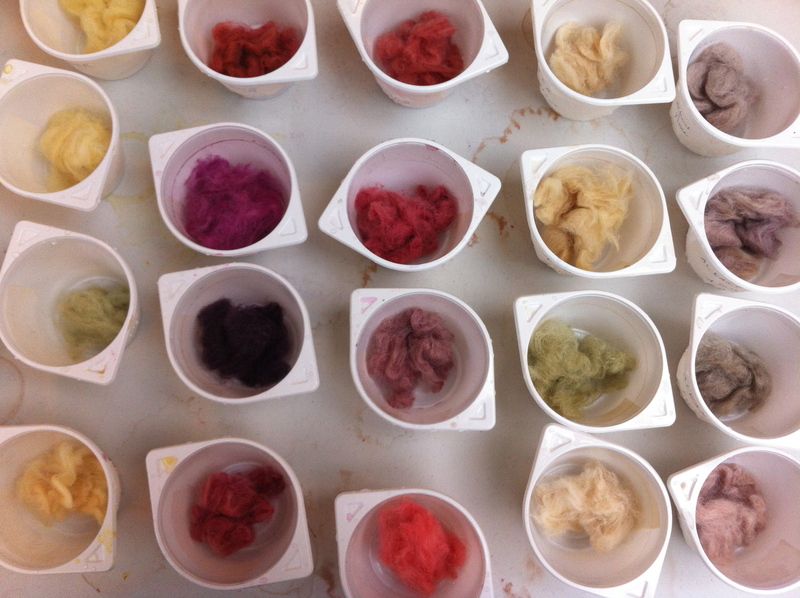 The next day, we had a gorgeous variety of beautifully dyed wool! Since red in all its varieties is my favourite colour, I absolutely loved the variety of oranges, purples and pinks that we got from using madder, cochineal, brazilwood and cachou. 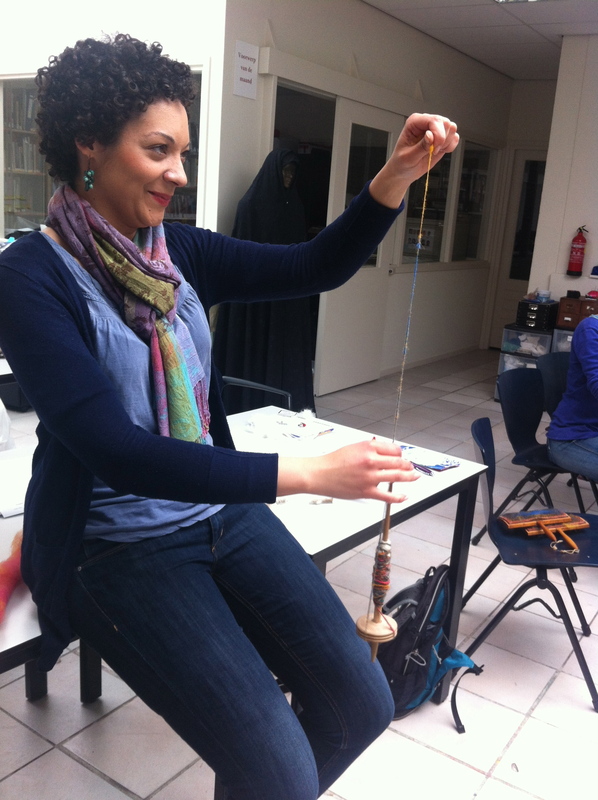 We then moved on to learn the basics of weaving. 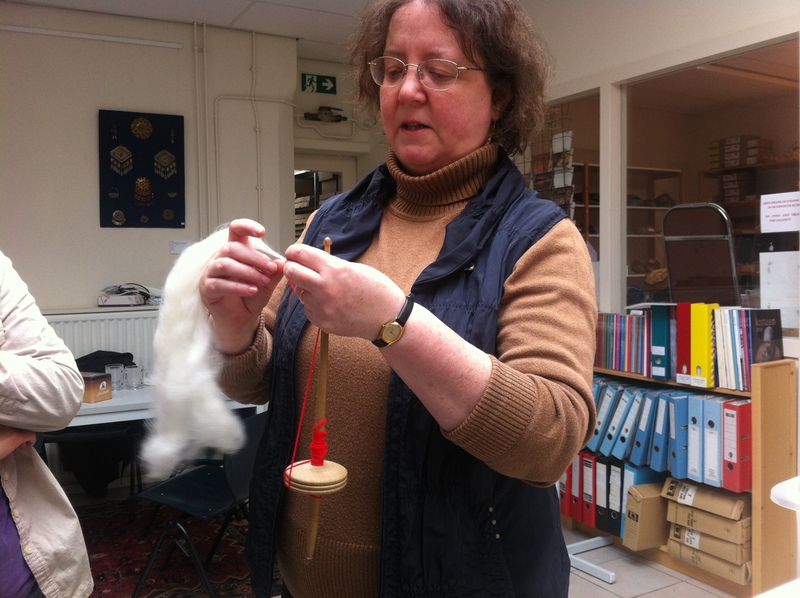 According to Gillian, people are usually either spinners or weavers. I think I am definately a weaver. Having struggled with spinning, I really enjoyed creating the varieties of tabby, twill and satin weaves according to the little technical drawings that we had to follow. 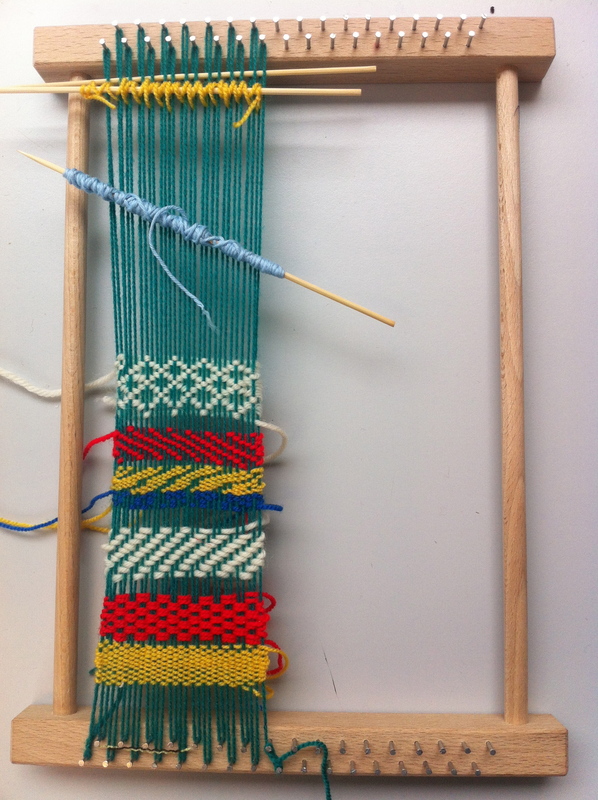 We also experimented with weaving tapestry and velvet. 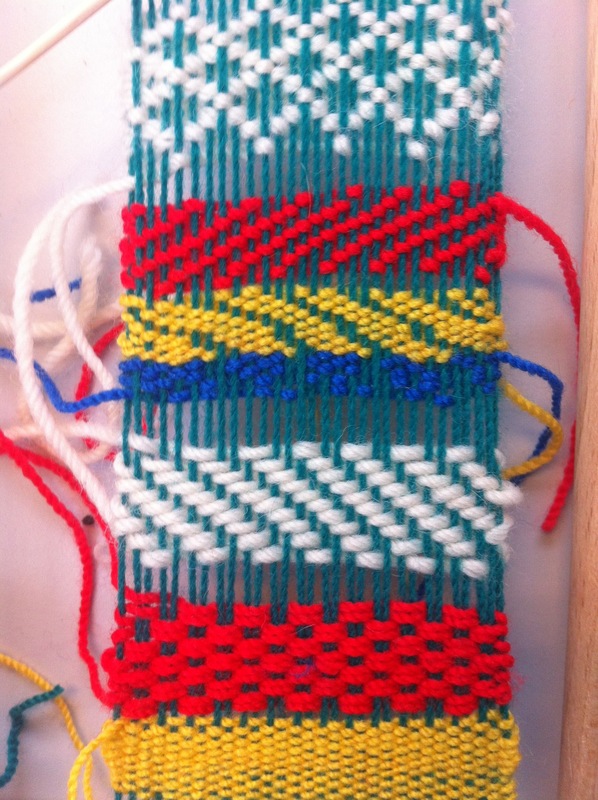 I liked weaving so much that I bought the frame at home! What I really loved about the course is that we always learned everything by doing before we were taken through the technical concepts at the theoretical level. 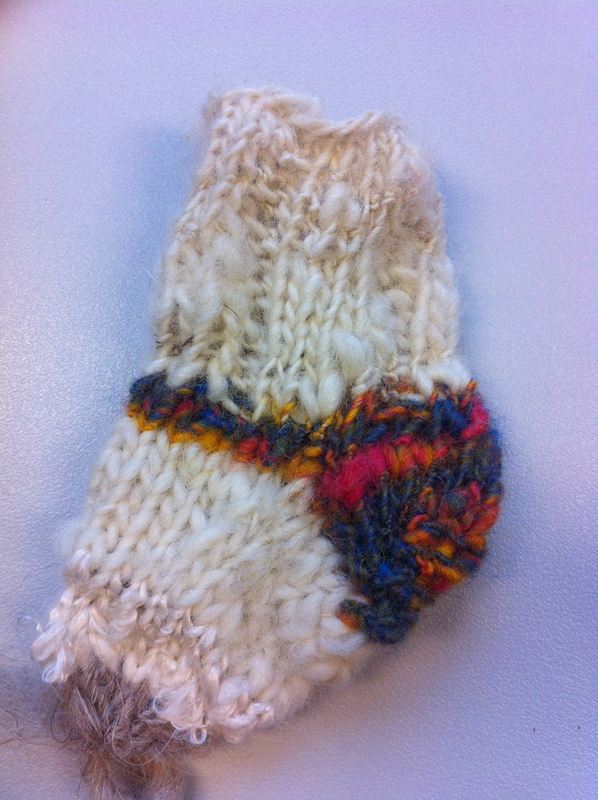 Thus, having first identified fibres, practised with wool combing and carding, spinning, dying and weaving, we examined different types textiles, paying attention to their texture, colour and patterns. 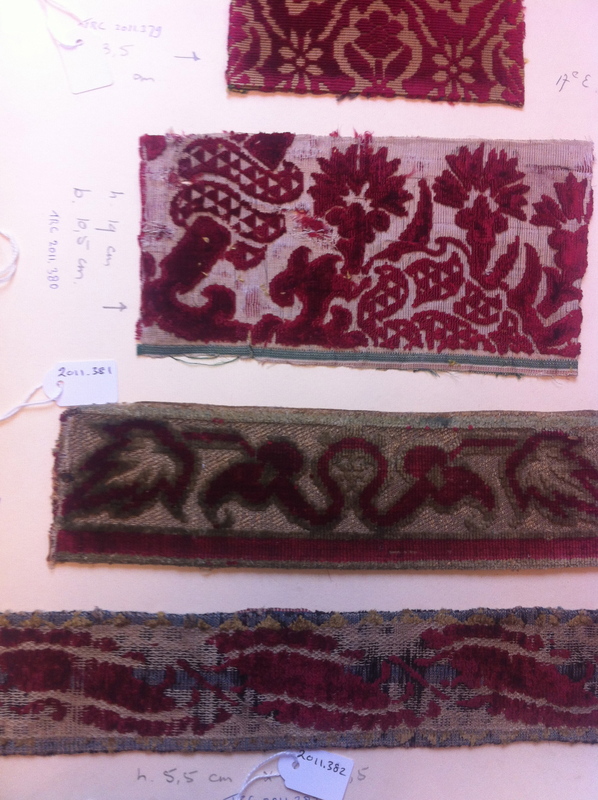 The TRC has a wonderful collection of textiles, dating all the way back to the 15th-century. We were shown a whole variety of fabrics including icat, printed cotton fabrics, woollens, linen fabrics and silks, such as damasks and brocades. Since the research centre is dedicated to teaching and learning we were allowed, unusually, to handle also the historical textiles relatively freely. This provided a rather unique opportunity to really touch, sense and feel the fabrics and get a sense of how much time has been spent in creating these magnificent pieces of fabrics. 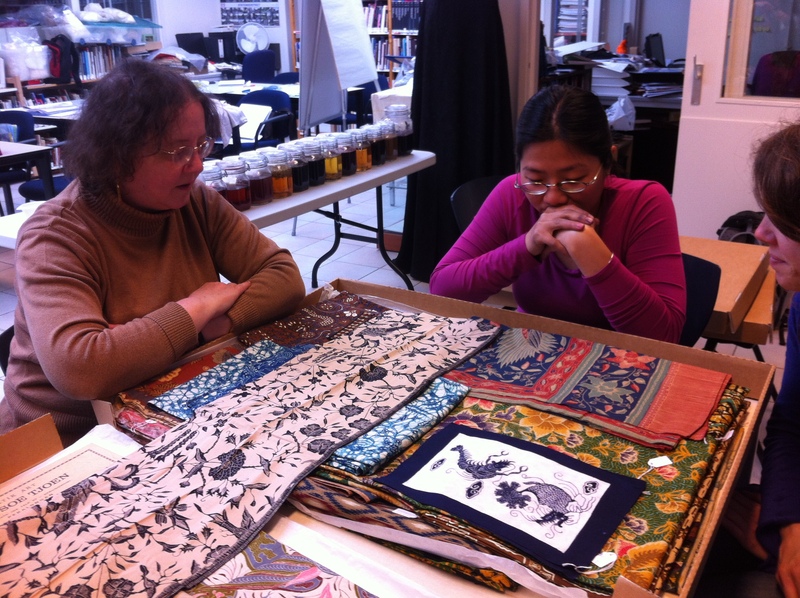 Some of the beautiful historical fabrics are included in the header of this blog. 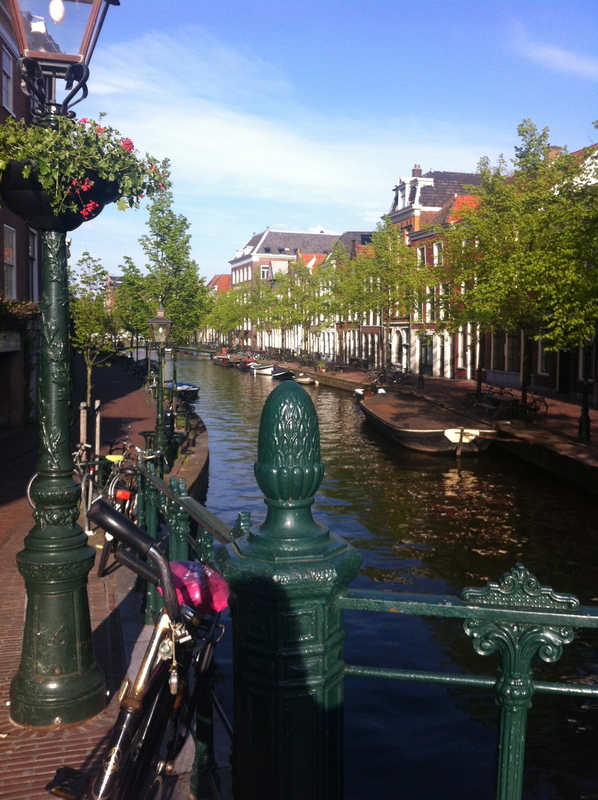 Leiden is a beautiful small town, about 20 minute train journey from Amsterdam Schipol airport. Unfortunately the weather was dreadful most of the time, but I still got to have a good look around the city in the free afternoons. And I also found a beautiful designer dress by Hoss Intropia from a small fashion boutique to wear at my brother’s wedding the next Saturday! 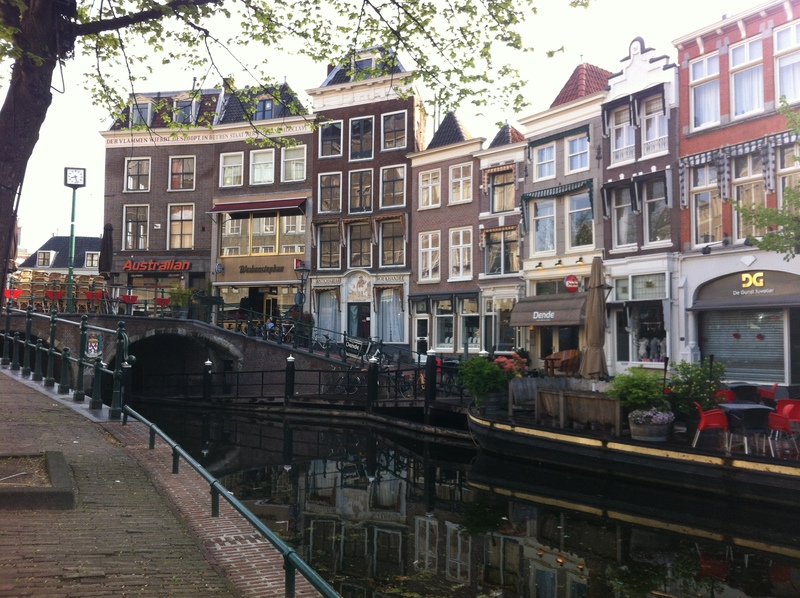 The shop was placed on one of the adorable buildings in the picture on the left-hand side above! 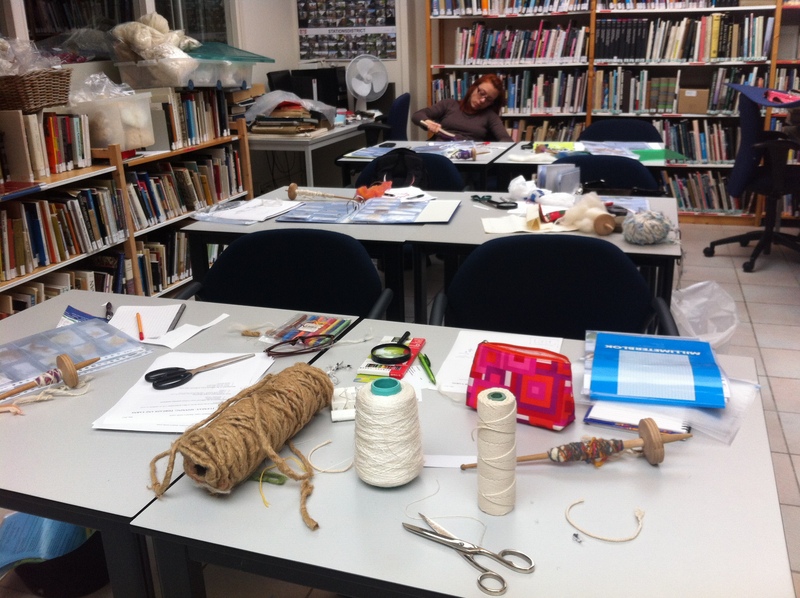 I can highly recommend the course to anyone interested in textiles!